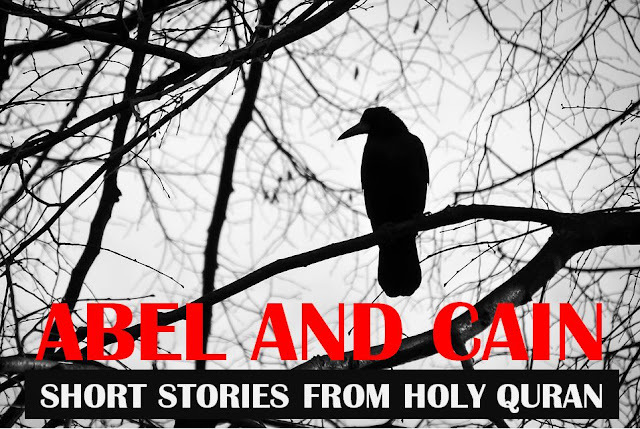 Short Stories from the Holy Quran: Abel, Cain and the Crow ~ Islam My Ultimate Decision . All stories begin with "once upon a time" - but what about a story that was the first story of an incident that happened at the very beginning of the mankind? Well that is the story of the first two ever born sons of the Prophet Adam and his wife Eve: The story of Habeel and Qabeel, or as in English Abel and Cain. The story has been part of all the Divine scriptures like Torah and Bible and by and large has the same substance. A story that tells man's intrinsic attributes of love, hatred, jealously, guilt and remorse - a story that emphasizes the sanctity of human life. Both the brothers were asked to offer up individual sacrifices to God; God accepted Abel's sacrifice and rejected Cain's; out of jealousy, Cain slew Abel - the first ever case of murder committed upon the Earth. In the Islam, Abel has been chronicled in history as one of the first believers and as the first ever martyr. Although Islam does not traditionally view Abel as a Prophet, some scholars speak of him as a prophet like his father.